We are now dealing with many kinds of data every day. If you lose or delete data by mistake from your Android phone, don’t be agitated. We test all the data recovery software for Android we can download from internet, review them and recommend you the best 6 Android data recovery tools for both Windows and Mac users. Hope our recommendation will help you to recover data from your Android phones and tablets. FoneLab for Android is easy to use Android data recovery software. It is designed to recover lost/deleted data from Android devices. You can recover deleted/lost text messages, contacts, call history, photos, music, videos, books, Whatsapp messages/photos and other document files on Android devices. 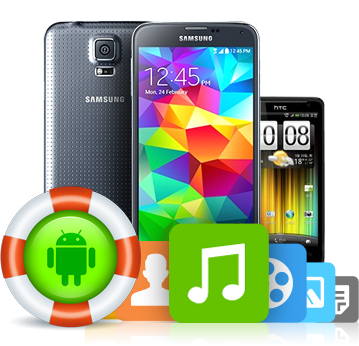 This Android data recovery supports most popular Android devices including Samsung, HTC, Sony, MOTO, LG, ZTE and so on. It can load your Android devices to its interface and show the basic info of your device. It can even fix Android system problems, such as stuck in startup mode, stuck in recovery mode, black screen and other problems for you. If you forget the poassword or you break the screen of your Android phone, it can also recover data from broken Android phone for you. 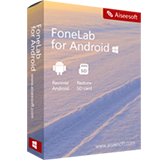 Just like other software from Aiseesoft, FoneLab for Android is an easy to use and understand Android data recovery tool. It can recover deleted/lost text messages, contacts, photos, videos, music, call log and other document files from Android devices. FoneLab scans Android phone fast and smoothly. It can find every deleted file on Android phone and SD card. You can select and preview the files you want to recover. The recovering process is very fast and the recovered files will be saved on your computer. The software will open the folder where saves the recovered data automatically. 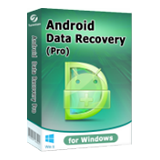 Aiseesoft provides both Windows and Mac version of Android Data Recovery for users. Both of them are free to try and scan your Android phone to find the deleted data. If you want to recover deleted files from Android, you need to purchase the full version. To conclude, if you lost data on your Android devices, try FoneLab for Android. You will have great chance to recover the deleted data from your Android devices. 1. Only provide 4 languages in the software, English, German, France and Japanese. 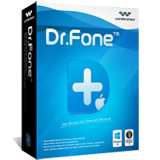 Wondershare Dr. Fone for Android is the first full featured Android Data Recovery software. It can recover deleted text messages, contacts, music, photos, whatsapp chat history, call history and videos from Android phones, tablets and SD cards. This Android data recovery app supports almost all Android devices from Samsung, Sony, HTC, LG, MOTO, etc. It provides both Windows and Mac version for Android users. If you lost or deleted important data from your Android devices, it is the No. 1 choice for recovering data from Android. Before paying the money, you can try the free trial version. Supporting almost all popular Android devices, Wondershare Dr. Fone for Android provides you a stable and fast recovery experience for Android devices. It can scan and find all the files on your Android phones and tablets, including text messages, photos, contacts, Whatsapp messages, videos, call log, audio files and documents. In our test, we use Samsung Note 4, Samsung Galaxy S5 and Sony Z4 and delete data from them for testing how much deleted and existing data this Android data recovery can find and recover. 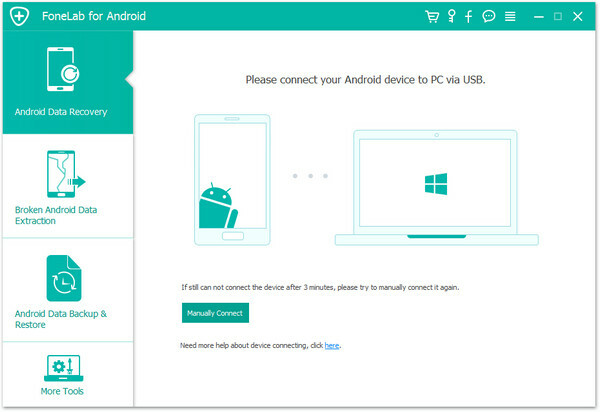 Installed smoothly on Windows based computer, this data recovery tool for Android provides users a clean interface and well-designed UI. A simple and easy to understand guide will lead users to connect device and enable USB debugging mode. It needs the Superuser Authorization to scan your devices, so if you didn’t root your Android before, it will root for you. It provides two modes to scan. One is only scan the deleted files on your Android and the other is scan all the data on your Android device. The first one will save you much time but I think most of users will choose to scan all the data on device. Before testing, we deleted text messages, contacts, photos, whatsapp messages and music from the Android phones. Wondershare Dr. Fone for Android successfully finds them and recovers them easily on our testing computer. We even find the test messages and photos deleted a long time ago. The "only show deleted files" option makes really fast to find the deleted data which you would like to recover. The scanning time is depending on how much data you have on your Android devices. To sum up, this Android data recovery from Wondershare provides users a fast and reliable way to recover deleted/lost data from Android. It is really easy to use and understand for beginners. The clear and useful tips on the interface will make users understand how to use it. The recovery function is powerful and the price for it is reasonable. It is the best Android data recovery software. 1. You need to purchase the full version in order to recover deleted data from Android phone. Tenorshare Android Data Recovery Pro can recover deleted/lost text messages, contacts, call log, video/audio, whatsapp messages/contacts and document easily for both Windows and Mac users. It can retrieve lost data due to mistakenly delete, rooting device, ROM flashing, unlocking bootloader and reset factory settings. It supports from the Android 2.3 to 6.0 and almost all the popular Android devices from Samsung, HTC, Sony, LG, MOTO, Huawei, Xiaomi, and ZTE. This data recovery for Android provides two modes to recover data, quick recovery and deep recovery. The first one is fast but finds less data for you. The second recovery mode takes longer time to scan your Android devices and it can find both the deleted and the existing data from your Android phones and tablets including text messages, contacts, call log, photos and documents, etc. Save your data from ROM flashing, reset factory settings, rooting, unlocking bootloader, etc. Android data recovery pro performs a nice job recovering deleted text messages, contacts, pictures, videos, audios, call history and documents on Android Phone and SD card. The quick recovery mode is really fast, but not enough data found in this mode. So if you are using this Android recovery software, I recommend you to choose the deep recovery mode. Although it takes longer time, the data is worth for waiting a longer time. In the deep recovery mode, it can scan and recover more data than the quick mode. All the data recovered will be exported to your computer with usable format. It is really convenient for users to use the data. All in all, Tenorshare Android Data Recovery Pro is reliable data recovery software for Android users. It can recover up to 8 kinds of data you deleted or lost due to any reason. Tipard Android Data Recovery is one of the best Android Recovery app for Android phone users when you need to recover deleted data from Android phone and SD card. 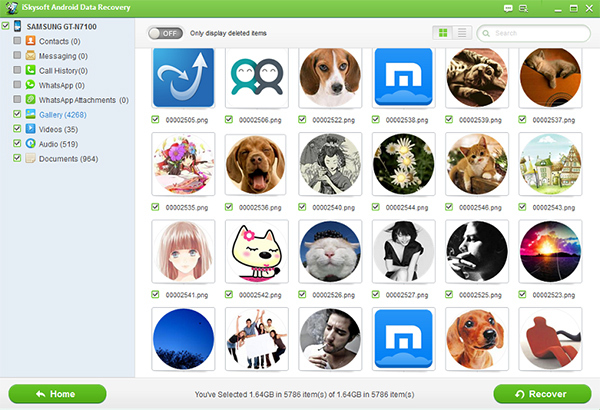 It supports to scan any Android device and SD card to find the lost or deleted files for you. You can easily recover deleted messages, contacts, photos, videos, call logs, Whatsapp messages and other data from Android phone. No matter how you lose your data, such as accidentally deletion, system error, factory reset, water-damaged, etc. 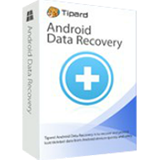 Tipard Android Data Recovery can recover the data you want from your phone easily. It works perfectly with Samsung, HTC, Sony, LG, Huawei, MOTO, Google, Xiaomi, ZTE, One Plus and other popular Android brands. It’s definitely a great data recovery for Android users. You can download, install and run this Android Data Recovery software on your computer smoothly. The main interface is really easy to understand and you need to connect your Android phone to your computer in order to scan it with this data recovery for Android phone. This Android recovery software can easily detect, recognize and load your Android phone to its interface. After enabling USB debugging mode on your phone, you can fully connect your phone and scan it to find the deleted or lost data with Tipard Android Data Recovery. The scanning time depends on how much data you have on your phone and which kinds of data you selected to scan. The more data you have and want to recover, the longer it will take to scan your Android phone. After scanning, you will see a data menu on the left side of the interface. 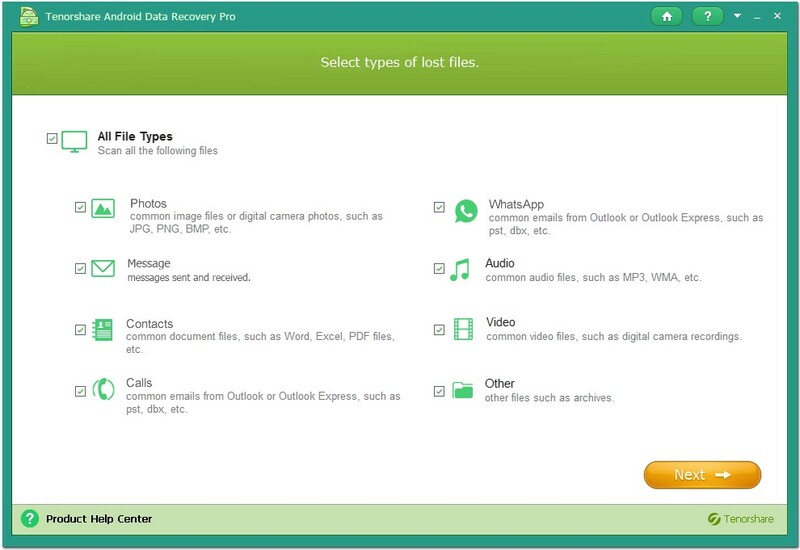 You can use it to find the deleted or lost data you want to recover easily. Before recovering, you can preview the photos, messages, videos, books, contacts, call logs with this Android phone data recovery software from Tipard Studio. Tipard Android Data Recovery supports all the Android devices we used to text. They are Samsung Galaxy S7, HTC One M9, LG G4 and Huawei Mate 9. It can recognize and find deleted files on these Android phones. 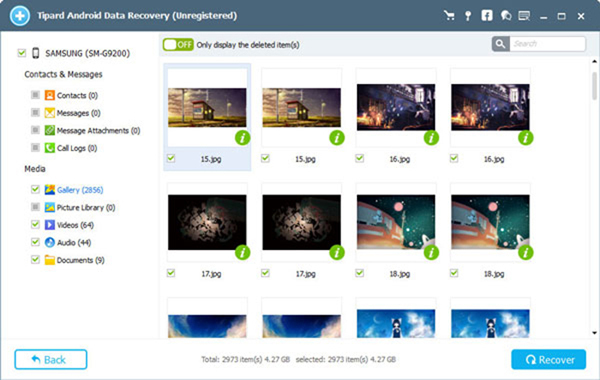 Preview deleted data before recovering is never a problem with this Android recovery software. It can even find the text messages and photos we deleted almost 1 year ago. You can also use it as an Android SD card data recovery. All in all, it’s one of the most easy-to-use yet powerful Android Data Recovery software. You can get it easily and use the trial version before buying it. If you just lose or accidentally delete important data on your Android phone, try it and it will help you a lot. 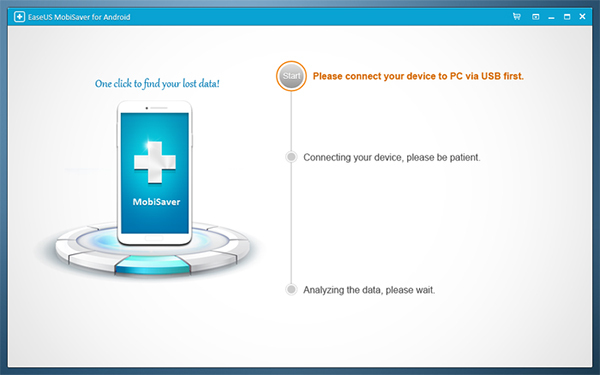 On the official website of EaseUS Mobisaver for Android 5.0, it says that it’s the easiest Android Data Recovery software. I will say that it’s easy and powerful. It can quickly find the lost files on your Android phone and recover them for you. You can recover deleted text messages, contacts, photos, videos and document files from your Android phone easily. No matter if you have used this kind of data recovery for Android program, you can easily use it without any help. The intuitional interface makes it really easy to find and preview the deleted or lost data on your Android phones. The software is small and smart for anyone who wants to recover deleted data from Android phone. So we list EaseUS Mobisaver for Android 5.0 on the top 6 Android recovery tool. Want to find an easy to use yet powerful Android Data Recovery? EaseUS Mobisaver for Android 5.0 is your best choice. It is designed for Android users who want to recover deleted/lost files on Android phone and know nothing or less about technology and software. In the whole process of using this Android Recovery software, you will find it’s so easy and smart for a beginner. After connecting your Android phone to computer, it will automatically scan your phone and so all the deleted or lost data on it. What you need to do is just select and preview the data before recovering. This data recovery for Android will show you the files it finds on your phone in real time. So the scanning process won’t be boring. It’s really considerate that this Android Data Recovery tool allows you to save the contacts in CSV, HTML and VCF to your computer and save text messages as HTML. It’s really easy for you to import contacts to your Android phone and Email account and print text messages for other usages. This Android Data Recovery software from EaseUS provides you the easiest way to get back deleted files and data from Android phone and SD card. It can find the deleted or lost text messages, photos, videos, contacts and other document files from Android phone in 3 steps. It is the best Android Data Recovery software for beginners. It’s so easy to use and you can use it to recover deleted files from Android even without any knowledge of software and computer. Let’s come to the conclusion. It’s an easy to use yet powerful Android Data Recovery tool for all the Android users especially beginners. If you don’t know much about the technology, download it and get back deleted data from Android phone with this data recovery for Android. 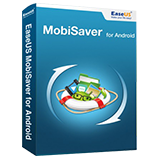 BTW, EaseUS also provides a free version of Mobisaver for Android. It’s free to use and you don’t need to pay. Coming from the same company with Wondershare, iSkysoft is a brand focus on Mac software. You can easily understand from the name. Don’t worry about that, iSkysoft Android Data Recovery also provides Windows version for their users. This data recovery for Android provides users excellent UI design and powerful recovery function. You can easily scan your Android phone and SD card, find the lost or deleted data and recover the data you want from Android to computer. 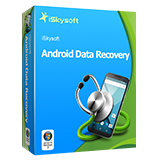 Although from the same company with Wodnershare, iSkysoft Android Data Recovery is only a simple version of Dr. Fone for Android. It still meets all needs of data recovery for android users. You can easily recover deleted text messages, photos, videos, contacts, books, Whatsapp messages, music, call logs and other document files from Android phones and SD cards. It supports almost all kinds of Android brands, such as Samsung, HTC, LG, Sony, MOTO, Google, Huawei, One plus, ZTE, Dell, Meizu, OPPO, Xiaomi and so on. Connecting Android phone to computer and enabling USB debugging mode, your Android phone is ready to scan with iSkysoft Android Data Recovery. 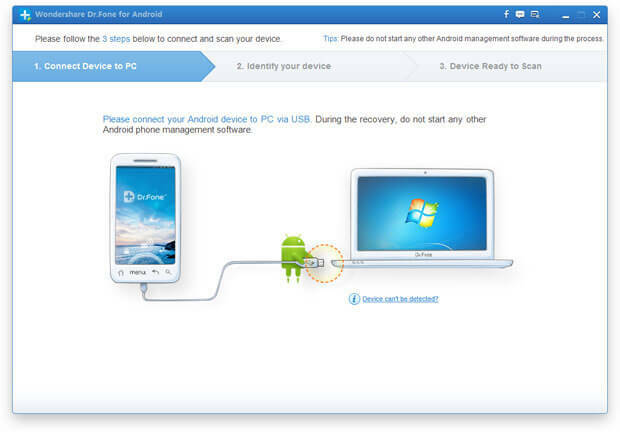 This Android recovery software has the same steps with other programs. After scanning, you will see a data list on the left side of the interface and you can find any data you want on your computer with it. iSkysoft Android Data Recovery provides you many options before scanning, such as scan all files or only deleted files, scan all data or selected data, etc. So you can customize the scanning according to your needs. This also saves much time when scanning. Preview deleted Android data with this data recovery for Android is so easy. You can check all the data you want to recover before recovering. Like I said above, although it’s only a simple version of Dr. fone, it still provides powerful recovery functions for Android users. You can easily get back deleted files, such as text messages, photos, videos, contacts, call logs, Whatsapp messages/photos/videos, music/audio files, books and other deleted document files from Android phones from Samsung, HTC, LG, Sony, MOTO, Google, Huawei, Xiaomi, ZTE and so on. iSkysoft Android Data Recovery scans Android phone deeply to find the deleted data for Android users. You can customize your own settings and get back deleted files easily from Android phone due to accidentally deletion, system error, virus, factory reset, water-damaged, broken and many other cases. Download and try this Android Data Recovery tool to scan and recover deleted data from Android phone and SD card. It will handle all the things for you. What Can Android Data Recovery Software Do? How to Recover Deleted Music from Android Phone? How to Restore Whatsapp Messages on Android? How to Recover Deleted Call log from Android Phone? Android SD Card Recovery – Recover Deleted Files from Android SD Card?